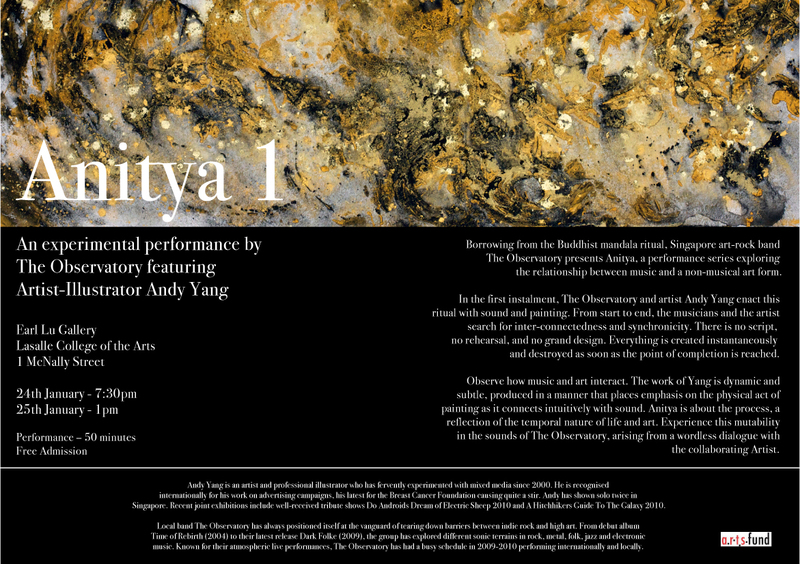 In the first instalment, The Observatory and artist Andy Yang enact this ritual with sound and painting. From start to end, the musicians and the artist search for inter-connectedness and synchronicity. There is no script, no rehearsal, and no grand design. Everything is created instantaneously and destroyed as soon as the point of completion is reached.